Oualid (Walid) Ben Ali, PhD obtained a bachelors degree in Management Information Systems (MIS), in 1998, from the "Institut Superieur de Gestion", in Tunis, Tunisia. In 1999, he moved to Canada, Laval University, Quebec, to carry on further studies and obtained a Masters degree in Computer Science in 2001, and PhD in Computer Science in 2006. In 2006, he moved to work at the University of York (UK) for two years as senior research assistant. In 2008, he moved to Sharjah University (UAE) to work in the MIS Department in the College of Business Administration. In 2010, he became the Head of the MIS Department. Dr. Ben Ali is a research leader in the field of Geographic Information Systems (GIS) and Location Intelligence (LI); he has founded the GIS Center of the University of Sharjah (http://www.walidali.net/giscenter/index.html). He is an active researcher and has published several papers in renowned journals. He has participated in many international and national conferences. He has participated in numerous projects and has done several consultancies around the world. 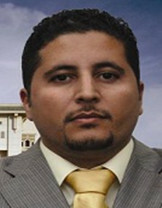 For more information about Dr. Oualid, please visit his website (www.walidali.net).